A northern Michigan native, Gina Gleason began her Alcuin career as an assistant in the Primary program in 2003. She then served as lead teacher of a Primary class from 2004 through 2009, when she was named Lower School Director. In July 2010, she became Executive Director of Alcuin. As the Executive Director, Ms. Gleason is the chief administrative officer and educational leader of the school. Ms. Gleason received her Bachelor of Arts degree from Alma College in Michigan, with a major in Communications. 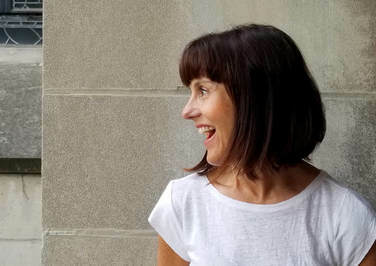 In addition to her AMS certification from Midwest Montessori Teacher Training Center, in Evanston, she also has a Master of Arts in Teaching from Concordia University with a focus on Early Childhood Education, and an Illinois State Teaching Certification for grades 0 to 3. Ms. Gleason's other interests include marathons and triathlons. She has completed over 30 marathons and has participated in fundraising efforts for the Illinois Leukemia & Lymphoma Society and Chicago AIDS Marathon Training Program. Her daughter and son are students in Alcuin's Junior and Senior Elementary programs. 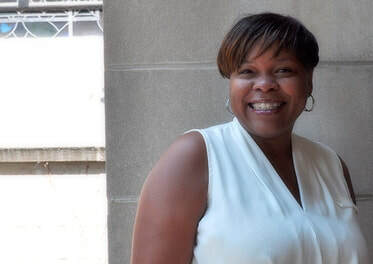 As the Business Manager, Ms. Ellis is responsible for Alcuin's finance and operations including the budget, billing and collections, purchasing, accounts payable, employee compensation, tuition assistance, and benefits administration. A native Chicagoan, Ms. Ellis enjoys cooking (she's famous for her German chocolate cake), traveling, and working with children. She and her husband also serve as mentors for various young adults. Her granddaughter is a graduate of the Alcuin Middle School program. Ms. Ellis has been at Alcuin Montessori School since 2000. ​A Montessorian for over 20 years, Alex Valera has previously worked at Near North Montessori and The Montessori School of Lemont. She has lectured at WellSpring Montessori Training Center and was a panelist at the "Freedom in Education" conference. As the Director of Advancement, she focuses on recruitment, admissions, development, enrollment, and alumni relations. Ms. Valera also spearheads Alcuin's internal and external communications, including marketing and advertising. 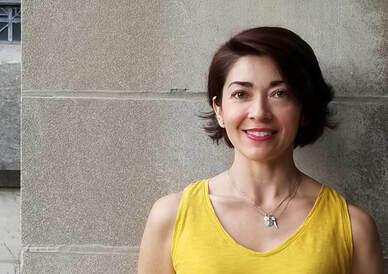 An award-winning writing and film making professional, Ms. Valera received her Bachelor of Arts in English and Creative Writing from Roosevelt University. She is also a graduate candidate at Johns Hopkins University finishing her Masters in Liberal Arts. Her work has appeared in the Chicago Horror Film Festival, Gapers Block, Apartment Therapy, Oyez Review, Ann Arbor Film Festival, Womanmade Gallery, and the Los Angeles Underground International Film Festival. She enjoys reading, personal training, traveling, and sewing with her son who is a student in Alcuin's Middle School program.